We’d love your help. Let us know what’s wrong with this preview of The Haunted Dolls' House and Other Ghost Stories by M.R. James. In volume two of the only annotated edition of M. R. James's complete writings currently available, Penguin Classics brings together tales from James's final two works, A Thin Ghost and Others and A Warning to the Curious. In these stories, James continues his fearsome transformation of the ghost story from its nineteenth-century heritage, drawing upon his deep knowledge of medieval history and biblical curiosa. This edition features a number of little-known tales that have rarely been assembled, including “The Fenstation Witch,” presented here for the first time in a corrected text, a new translation of “Twelve Medieval Ghost Stories,” and a number of James’s essays. 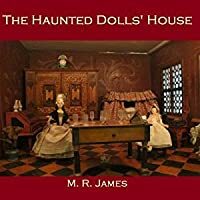 To ask other readers questions about The Haunted Dolls' House and Other Ghost Stories, please sign up. Not sure why the publisher felt the need to produce this Penguin P60 with three stories by two authors - it would have made more sense to have three authors or just stick in a third by M R James and be done. I suppose however, they are of a similar genre, and don't clash in terms of style. The Bo Not sure why the publisher felt the need to produce this Penguin P60 with three stories by two authors - it would have made more sense to have three authors or just stick in a third by M R James and be done. This collection of M.R. James short stories isn’t quite as good as ‘Count Magnus and Other Ghost Stories’ but is still fantastic all the same. The stories my not be as creepy but are still well written and entertaining, I especially liked ‘The Diary of Mr Poynter’ and ‘A View from a Hill. Some of the stories included also weren’t published in M.R. James’ lifetime as I was surprised by how good they were, it seems that James was incapable of writing anything less than brilliant. A somewhat more mixed selection than the first volume, but very worthwhile. This second Penguin volume features the master's later stories, which I would have to agree with fan consensus aren't usually up to the standard of his earlier classics. That being said, lesser M. R. James is rarely less than entertaining, and even the poorer ones have some merit. I have read much criticism of Two Doctors, but I think it's a decent enough tale featuring a chrysalis dream sequence of pure nightmare imager A somewhat more mixed selection than the first volume, but very worthwhile. This second Penguin volume features the master's later stories, which I would have to agree with fan consensus aren't usually up to the standard of his earlier classics. That being said, lesser M. R. James is rarely less than entertaining, and even the poorer ones have some merit. I have read much criticism of Two Doctors, but I think it's a decent enough tale featuring a chrysalis dream sequence of pure nightmare imagery. A Neighbour's Landmark, another less popular tale, features a memorably unnerving banshee scream written with immense delicacy. Of career highlights there are many here: A Warning to the Curious, Story of a Disappearance and an Appearance, A View from a Hill and An Episode of Cathedral History are among the master's very best, while Wailing Well, Rats and A Vignette are overlooked gems from the fag end of his career. This second collection of ghost stories from the early twentieth century master M.R. James pulls works from his later catalog. It has often been suggested that James' later stories fall well short of his best work, and despite editor S.T. Joshi's claims to the contrary, this largely seems to be true. James doesn't stray far from his traditional scenarios with these stories. They still mostly deal with a narrator (who irritatingly keeps interrupting throughout certain stories) who has heard rumors This second collection of ghost stories from the early twentieth century master M.R. James pulls works from his later catalog. It has often been suggested that James' later stories fall well short of his best work, and despite editor S.T. Joshi's claims to the contrary, this largely seems to be true. James doesn't stray far from his traditional scenarios with these stories. They still mostly deal with a narrator (who irritatingly keeps interrupting throughout certain stories) who has heard rumors of a professor or scholar stumbling onto some arcane and ghostly mystery while researching old records or visiting an ancient church. And, while this format was somewhat predictable for the first collection, it still worked. Since these are similar, I'm a bit surprised I didn't enjoy the stories here as much. There are a few creative ones—"A View From a Hill" being my favorite—but none of them are scary, and I actually found myself bored with a majority of them. I don't exactly know why they seemed so dull either. It was almost as if James had only come up with brief fragments of ideas for new ghost tales and slapped them together without much thought. Either that or the formula has worn thin. The two Penguin editions of James' ghost stories are divided up among his better (and better-known) ones, which are largely in the previous volume and his lesser works in this one. But lesser works by M.R. James are mostly still pretty great. 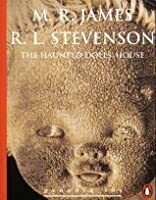 The main claim to fame in this volume are several short stories that weren't published by James in his collections, and which are therefore not contained in the Collected Ghost Stories. Sadly, most of these aren't anything particularly great, though "The Fen The two Penguin editions of James' ghost stories are divided up among his better (and better-known) ones, which are largely in the previous volume and his lesser works in this one. But lesser works by M.R. James are mostly still pretty great. It was a small book with three short stories (that were supposed to be scary) that I picked up randomly from the local bookshop. I am already a bit wary of Horror genre and it's difficult to convince myself that you can actually get scared by "reading Horror stories". The stories with complicated prose were an utter disappointment and reading them actually felt like a task. Hopefully someday I might pick up a book from Horror genre again and actually get scared. An anthology of M. R. James chilling ghost stories. Contains several of my favourites including the title story and "Oh, Whistle and I'll Come to You, My Lad." Just the thing for a quiet Sunday afternoon. Recomiendo a M R James a todos los que quieren entrar en una atmósfera ominosa, pero sin perder elegancia, y sobre todo, elegancia literaria. Valdemar tiene una bonita colección con sus relatos. I was unfamiliar with the author and his stories. I bought this book as a gift for a friend and she loved it. I also enjoyed the stories. We are now both going to read the first volume of the author's ghost stories. I received this book as a gift last year at Christmas and decided to keep it until October before reading it. It set the mood for the month in a spectacular way. The stories are similar in tone and style to others I've read from the same time period so they aren't scary in the same way modern horror stories are. However, they are wonderfully suspenseful and frightening in a more classic manner. I've marked my favorites to reread next fall. This second volume of MR James's supernatural stories suffers in comparison with the first. James wrote the bulk of his best stories early in his career, and these later tales, while still possessed of the same craft and depth of historical flavour, tend to feel a bit recycled and stale; indeed one of the tales, the titular Haunted Dolls House, James freely acknowledged to be a rehash of an earlier tale, The Mezzotint. There's also more of a focus on English towns and villages, and less on the w This second volume of MR James's supernatural stories suffers in comparison with the first. James wrote the bulk of his best stories early in his career, and these later tales, while still possessed of the same craft and depth of historical flavour, tend to feel a bit recycled and stale; indeed one of the tales, the titular Haunted Dolls House, James freely acknowledged to be a rehash of an earlier tale, The Mezzotint. There's also more of a focus on English towns and villages, and less on the wilder areas of the continent, which is not necessarily a bad thing in itself, but tends to give the collection as a whole a bit of a prosaic flavour and reduces (for me) the effect of the tales. Saying that, there are still some absolute classics nestled among the lesser works. A Warning to the Curious is one of the best stories James ever wrote (resulting in an excellent adaptation starring Peter Vaughan), and both The Residence at Whitminster and The Uncommon Prayer-book have slowly become some of my favourite of all James's works. This is the second volume of the Penguin Classics covering the work of M.R. James. The stories in this volume include those from A Thin Ghost and Others and a Warning to the Curious. Overall, these stories didn't catch my attention as much as the first volume - although a few in particular will remain in my memory for quite awhile to come. My favorite stories included: Two Doctors, The Haunted Doll's House and The Uncommon Prayer-book. Again, much of the magic of James' stories was the experiment This is the second volume of the Penguin Classics covering the work of M.R. James. The stories in this volume include those from A Thin Ghost and Others and a Warning to the Curious. Overall, these stories didn't catch my attention as much as the first volume - although a few in particular will remain in my memory for quite awhile to come. My favorite stories included: Two Doctors, The Haunted Doll's House and The Uncommon Prayer-book. Again, much of the magic of James' stories was the experimentation with different techniques and approaches. Some of the stories appeared unfinished - or at least not as polished as his earlier works. You know how quite a lot horror stories are graphic and sometimes inventive in it's goriness? This wasn't like that. This was surprisingly freaky in terms of scariness. It had ghosts, evil spirits, black magic, revenge, accidental curses...it had everything usual. What made it work though, was the author's distinctive writing style. It was witty but still able to convey the horror of the characters, so much so that when the main character of each short story, regardless of the fact that you've o You know how quite a lot horror stories are graphic and sometimes inventive in it's goriness? This wasn't like that. This was surprisingly freaky in terms of scariness. It had ghosts, evil spirits, black magic, revenge, accidental curses...it had everything usual. What made it work though, was the author's distinctive writing style. It was witty but still able to convey the horror of the characters, so much so that when the main character of each short story, regardless of the fact that you've only just met them one page ago, was in danger, you started to feel panicked that the end was indeed nigh for them - and for gods sake, why didn't they just leave well enough alone?? Boy, do I love Mr. M. R. James. Kindred spirits in spirits, one might say. This volume is his b-sides, and he doesn't hit them all out of the ballpark, but that's part of the reason why I love James. Like Woody Allen's yearly movie, the consistency of production for an artist is almost the most admirable characteristic, not for its own sake, like brushing your teeth, but because it demonstrates that through this medium, ghost stories, James saw, interpreted, and explained the world around him. 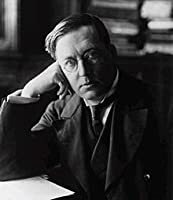 An Boy, do I love Mr. M. R. James. Kindred spirits in spirits, one might say. This volume is his b-sides, and he doesn't hit them all out of the ballpark, but that's part of the reason why I love James. Like Woody Allen's yearly movie, the consistency of production for an artist is almost the most admirable characteristic, not for its own sake, like brushing your teeth, but because it demonstrates that through this medium, ghost stories, James saw, interpreted, and explained the world around him. This book in the Penguin 60s series is unusual as it contains three stories by two different authors. The first and third stories are by M. R. James, while the middle story is by Robert Louis Stevenson. All three are fairly mild ghost stories, quite gentle when compared to the horrors described by Poppy Z. Brite in another little book in this series. They provide a fascinating look into the life in England during the Victorian era. James en Stevenson se spookstories beeld die Victoriaanse era van This book in the Penguin 60s series is unusual as it contains three stories by two different authors. The first and third stories are by M. R. James, while the middle story is by Robert Louis Stevenson. All three are fairly mild ghost stories, quite gentle when compared to the horrors described by Poppy Z. Brite in another little book in this series. They provide a fascinating look into the life in England during the Victorian era. Doesn't quite raise the goosebumps this one! It's more a strange tale; there's no real horror or fear, no threat or consequence. Not entirely boring, but nothing particularly special, either. Ok now that is pretty creepy! Quite macabre subject matter and horrifying in its unanswered questions. I love this early 20th century tale (published in 1923). James' work always borders a bit on the bizarre. This short story follows a collector who finds a peculiar Gothic doll house that repeatedly reenacts a murder scene. For those interested in M.R. 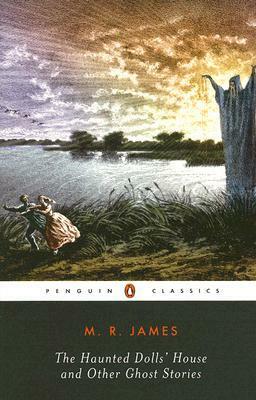 James, I enjoyed these Penguin classics editions for their notes and appendices by the authority of weird fiction, S.T. Joshi. While I've heard the criticism of James creating formulaic ghost stories, I would argue that he consciously helped write the modern formula. The stories in this vol. are slightly inferior on the whole to Count Magnus and others, but there are some really unsettling moments in this collection as well. Most of the stories in these later collections of James' ghost tales are indeed inferior to the earlier ones, just as majority opinion has it. Many stories are set in the (relatively distant) past. It would be interesting to speculate why period ghost stories are generally less effective than modern ones. Perhaps because history itself is a ghostly realm, so what's one ghost more or less? MR James is my favorite writer of Ghost Stories.This is a great book to read all alone in a cabin in the woods with the wind blowing outside and rain slashing at the windows.The book though is 308 pages not 57 pages as listed at the top. Ghost stories told by a kindly narrator with a dark sense of humour. Very enjoyable, although the footnotes got a little tiresome. Sometimes they had important information, even revealing the 'punchline' of the story through translations of Latin phrases, and sometimes they were obvious. I just reread many of these stories as hurricane Sandy blistered past my windows. Good storm reading. Good reading any time, really. A giant among giants in the development of the ghost story. He was the master of the genre. Seems like he was kind of running out of ideas towards the end, but there are still plenty of excellent ghost stories here. Not as good as the "Count Magnus" collection, but still worth getting.